A gravel truck rolled over Wednesday afternoon on Route 83 in west suburban Hinsdale. 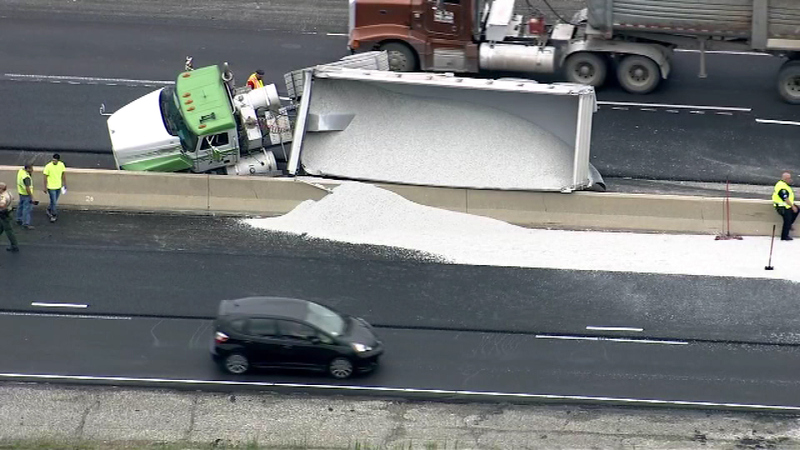 HINSDALE, Ill. (WLS) -- A gravel truck rolled over Wednesday afternoon on Route 83 in west suburban Hinsdale. The gravel truck was driving northbound on Route 83 when it tipped over and spilled its load of gravel into the southbound lanes. The delay for southbound traffic goes back to I-88. The traffic backup on the northbound side is to 55th St.